Even though an app is a sub site, it is not limited to the particular sub site. The app can access content rely out of the sub site such as host web or the site collection, tenant as well as many farm level services. This will be informed to trust before installation of the app so the person who is installing the app will get a good idea of the areas allowed in the app. Apps that are managed inside the organization can be added to a collection named App Catalog. But if the app is targeted to the SharePoint users around the globe, they can be published in the Global App Store supported by Microsoft. The app architecture and the deployment models make this a great concept and facilitate with some good features. 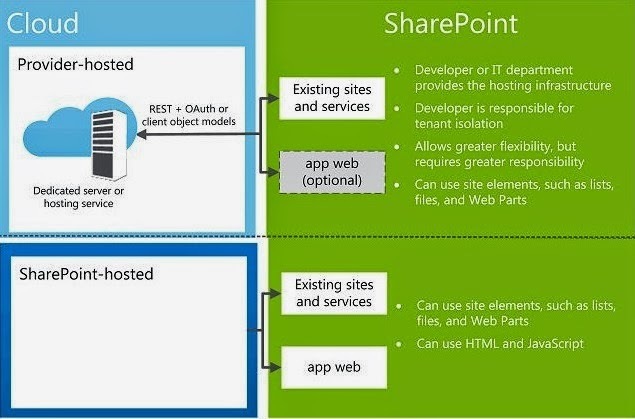 If you have not yet started reading about SharePoint apps, its high time to get started.